Concrete mixing plant consists of concrete mixer (JS series), concrete batching machine (PLD series), cement silo (bulk cement silo or flake cement silo), screw conveyor (LSY series), control system (centralized control system or automatic control system). 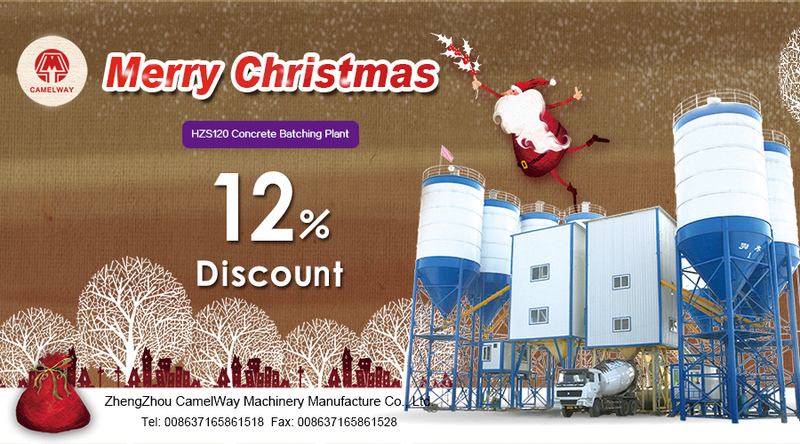 Each device has its own secret, we’ll introduce some of the secrets of concrete mixing plant in the following. The concrete mixing plant is operated by the control system. The control system of HZS series of concrete mixing plant adopts advanced control system and reliable performance and has the function of printing and air conditioning, which is easy to operate. So we should be sure to pay attention to the daily inspection work of the control system, once found abnormal control system, we need to ask the special staff to maintain. The host of the concrete mixing plant adopts JS series twin shaft forced concrete mixer. This mixer is applicable to be used in the mixing of plastic, rigid and lightweight aggregate, concrete and mortar, which is widely used. But JS series concrete mixer can’t be used alone, when using it, it need to configure the PLD series of concrete batching machine to make production more efficient. Concrete batching machine is the essential equipment in the concrete mixing plant. The PLD series concrete batching machine adopts the smallest batching control instrument in the world, which has accurate and stable ingredients, advanced calculation method and effective control error. It is a kind of advanced dispensing equipment and effectively guarantee the quality of concrete production. Whatever which kind of the concrete mixing plant it is, it cannot do without the cement silo, the use of cement silo is also very simple. But due to its large reserves of cement silo, the bearing capacity of cement silo’s leg is also large, so the protection of the cement silo’s legs is very important. Concrete Mixer Can Mix Mortar?